On my next trip to Ireland, I am making a beeline to Inis Meáin, County Galway. It is on my list of places where I feel I really need to go for a variety of reasons. It all started from my complete enchantment with the Inis Meáin Knitting Company at a trade fair in Dublin several years ago where I was first introduced to a sumptuous, creamy colored, baby alpaca pullover in a contemporary Aran design with a high roll neck and long, fitted sleeves. Oh, how I wanted that sweater. For that matter, I wanted the entire line, but that sweater was meant for someone long and lean and if you know me that’s certainly not my body type. Their knitwear collection has the perfect balance of timeless design, yet with a contemporary styling, made of purely delicious fibers. 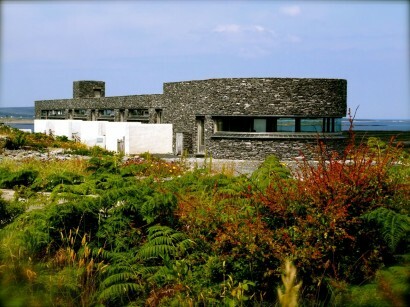 Every so often I would check in on their collection either at a show or via online research and then, while idling away far too much time online one evening, I found that the founders had built a luxury hotel at the edge of the sea on this remote Aran Island. The hotel features only four suites plus an apartment suite as well as a restaurant. Take a peek at their website-it’s sublime and understated. I absolutely have to get there…very, very soon. The season opens on April 15th. Maybe I should do it this year.